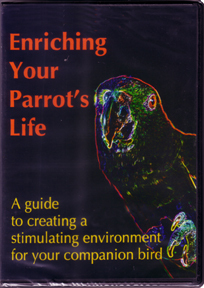 One of my good friends over at Avian Avenue recently inspired me by her purchase of the DVD, Enriching Your Parrot’s Life, by Robin Shewokis. 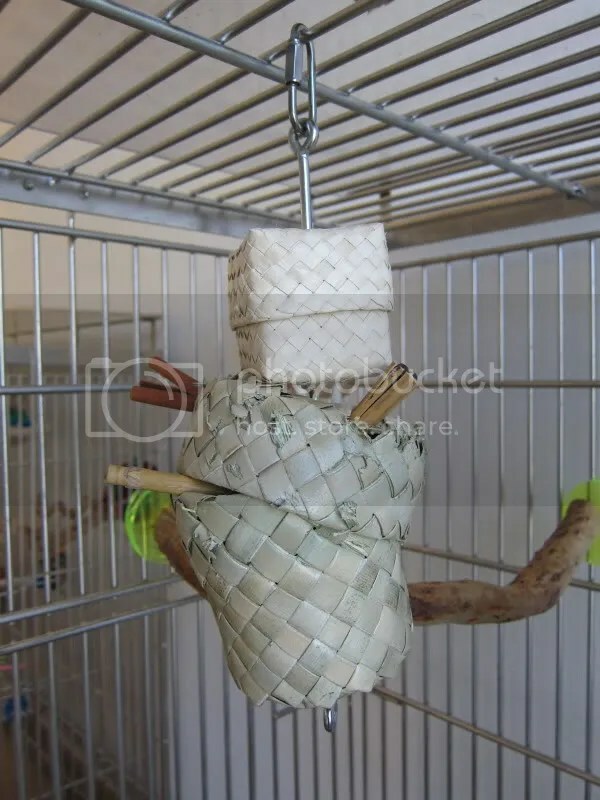 This sent me on another researching spree about all types of parrot enrichment. I found some awesome articles on the web (all linked below), and also ended up purchasing the DVD too, from Busy Beaks. I so very highly recommend it for all parrot owners! It was an excellent resource and a great learning opportunity for me. This new dose of learning has really provided me with some fantastic enrichment ideas and made me re-commit myself to making sure that Lola and Sabrina lead fulfilling and enriching lives. I’m going to sum up some of the things I’ve learned in this entry, and then in part two (a separate entry), I’ll talk about actually implementing these ideas and my plans for Lola and Sabrina. First I’ll start off with a concept that Robin’s DVD explained: “enrichment is a process.” I loved how she focused on researching natural behaviors and targeting those evolutionary habits in the enrichment process. For example, as I mentioned earlier, Lola is more of a ground forager who prefers climbing over flying. Budgies too like to forage on the ground for germinated seeds and grasses. 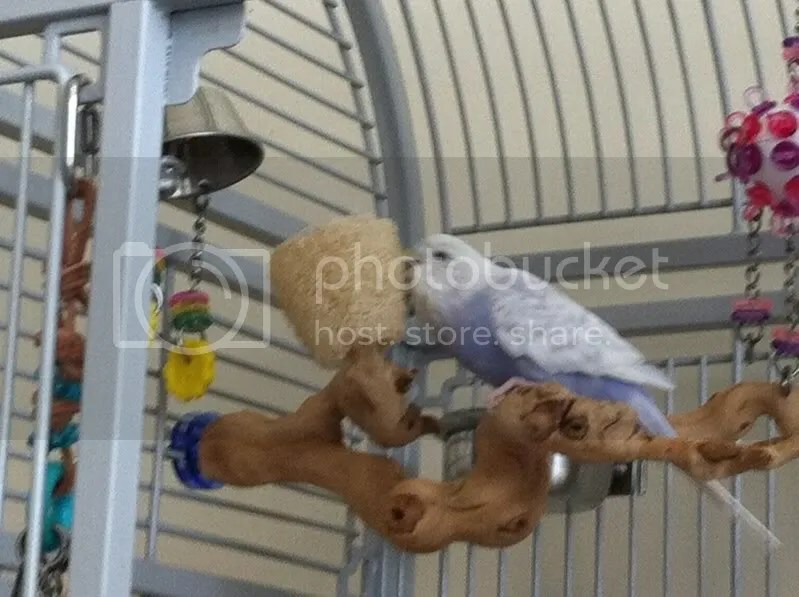 One of the things I’m working on for both of them is creating a foraging tray or shelf, where I will put natural materials like wood, vine balls, maybe some dried branches or leaves, etcetera, and also hide some treats in there, like a few sunflower seeds or in shell nuts for Lola, or millet and canary grass seed for Sabrina. Lola’s wild counterparts also like to carve out cavities in trees. To reflect that behavior, I’ve been giving her more opportunities to forage in wooden cavities. Another concept I really liked, that that almost all of the articles and the DVD explained, is the idea of different types of enrichment. Robin identifies six herself, but in my research online I’ve found that everybody categorizes them differently. Of course, a lot of them overlap. I actually liked the way one of the articles, by David Woolcock, classified them, as I think his umbrella categories capture a lot of what the other articles cover and then some: social, occupational, physical, sensory, and nutritional. I’m going to discuss each one in turn, but this discussion is fairly repetitive of the articles linked below, with a few of my own thoughts thrown in. But as a caveat, importantly, Robin stresses that you don’t need to provide every single type of enrichment every single day. There is such a thing as “over-enrichment.” The goal is to offer choices, as every parrot would have in the wild, but not necessarily to overstimulate. Instead, she suggests maybe assigning one type of enrichment to everyday of the week in particular. I think that most of us will find that some of the tactics we use will actually enrich in more than one way, so that we are enriching in multiple ways each day inadvertently, but I think it’s important to keep in mind that we don’t need to be running around trying to activate every possible type of enrichment all the time. Now let’s start discussing each type. First up is social enrichment. We all know that our parrots tend to be flock animals. Cape Parrots, for example, typically travel in smaller flocks of up to 20 parrots, but flocks of 80 can gather at food sites. Budgies, on the other hand, can be found traveling in flocks of hundreds and even thousands! And then there are some parrots that tend to stick in pairs. The important thing, however, is that they all have some sort of social interaction and group dynamic. For those who have their own flocks, and in particular same-species flocks or parrots in pairs, social enrichment is an easy one to check off the list. But for those of us who do not, or for those of us with two parrots that are dramatically different in size and originate from completely separate continents, I think we should strive to do a bit more to provide social enrichment for our parrots ourselves. Some examples are easy: talking to your bird, playing, giving scratches, and other interactions. But things like training and positive reinforcement, or flight recall practice can also count. More ideas include reading to your bird, singing with your bird, dancing (if your bird is so inclined, as Lola is! ), and more. Bottom line ideas for social enrichment: same-species friends, other species friends, talking/singing/dancing to or with your parrot, training and positive reinforcement, flight recall, interacting with your parrot in general. Next is occupational enrichment. This one is less intuitive by name, but I think the concept is pretty easily understood. As David Woolcock describes it, occupational enrichment is enrichment that exercises the mind or the body, such as giving your parrot challenges to overcome, and allowing your parrot to fly. Foraging opportunities probably come directly to mind: giving our parrots foraging opportunities challenges them to work for their food, enriching them and preventing boredom all the same. Even something as simple as covering the food bowl with some kraft paper and securing it with some tape, or just switching up the positions of the food bowls, would create a foraging opportunity. Some very talented parrots also seem great at working on puzzle toys or more mechanical toys. This isn’t Lola or Sabrina’s strong suit, but would definitely count as occupational enrichment. Exercising the body is, of course, equally important, but I’d like to expand it beyond just flight to also include climbing, swinging, and swaying opportunities. I am a big proponent of free flight and try to give my parrots plenty of opportunities to fly. But as I said above, Lola naturally prefers climbing to flying, so I also give her climbing opportunities through vine-like ropes that she can climb and swing from, boings, climbing nets, and swings. She absolutely loves these types of “perches” and often prefers them to stationary, bolt-on perches. Sabrina, interestingly, even prefers to sleep on swings rather than stationary perches. Bottom line ideas for occupational enrichment: foraging opportunities, changed food bowl positions, puzzle toys, training through positive reinforcement, other challenges, flying, climbing, swinging, and other exercise. Third is physical enrichment, in relation to the type of enclosures we keep our parrots in and the elements of them. I think it should also count play areas and play stands (perhaps a more intuitive name for this category might be environmental enrichment). So your parrot’s physical environment can certainly be a source of enrichment: is the cage big enough for your parrot to spread its wings? Sabrina’s is even big enough for her to fly (although that’s a lot easier with a tiny bird like her). What types of elements are in the cage? Perches, swings, boings, toys, etcetera all fall under this category. How often do you change the environment? This is something I am working on doing more of: rearranging the cage setup, even if it’s just switching around a perch and a few toys a week. Beyond cages, play stands and play areas and gyms are certainly another sort of physical enrichment. Likewise, those lucky enough to own outdoor aviaries provide an excellent source of physical enrichment. But even just taking parrots outside for some natural sunlight and a change of scenery is another great way to provide physical enrichment. Another thing I like to try to do everyday is make sure that Lola visits at least one different room everyday, for a simple change of scenery. 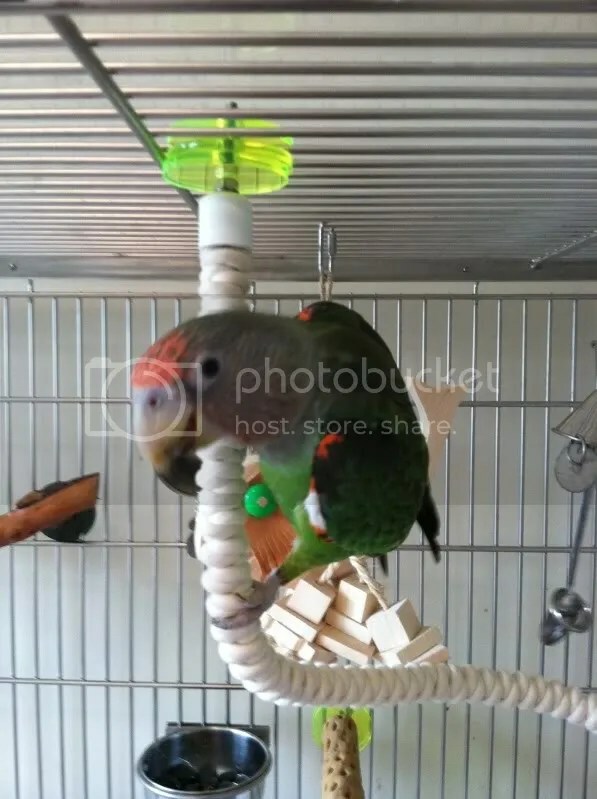 Bottom line ideas for physical enrichment: thinking about cage size and setup, thinking about cage elements, rearranging cage toys and setup, changing orientation or position of the cage, providing play stands and gyms, providing an outdoor aviary or just making trips outdoors, visiting a different room everyday. Next up is sensory enrichment, which I think includes several of Robin’s categories (auditory, visual, olfactory, and tactile). Auditory enrichment is something that I definitely wasn’t really thinking about before reading these articles and watching this video. Some suggestions from the DVD included baby toys or bird toys that say phrases or make the sounds of wild birds or other animals. But even more simply, noisy toys like bells or stainless steel toys (my girls love the ones from Avian Stainless) can provide ample auditory enrichment. I’ve also found that Lola and Sabrina absolutely love watching YouTube videos of their own species that make their own natural sounds, which also leads me into visual enrichment. Videos and photos of other birds really get my two’s attention, but even things like moving the level or position of perches in the cage, which will in turn change a parrot’s line of vision and view, will provide visual enrichment. Changing the toys in the cage too will provide visual enrichment as it will change the “look” of the cage. Olfactory enrichment is another type of enrichment I really didn’t think about. I would be very careful about this one, as obviously many fragrances (candles, oils, etcetera) can be very harmful to our parrots. 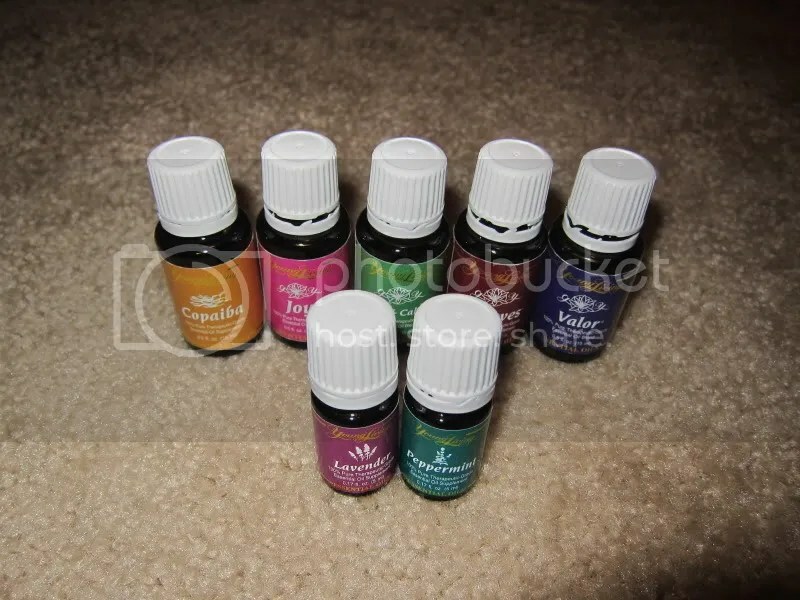 But essential oils certainly fall under this category, and as I’ve written about before, my two have responded very well to diffusing bird-safe essential oils. My friend also suggested some natural scents like rosemary, and I would throw in other fragrant plants like eucalyptus or mint. Even some ceylon cinnamon sticks or other fragrant herbs like star anise would be sources of olfactory enrichment. Lastly, tactile enrichment is something we’re all probably pretty good at. 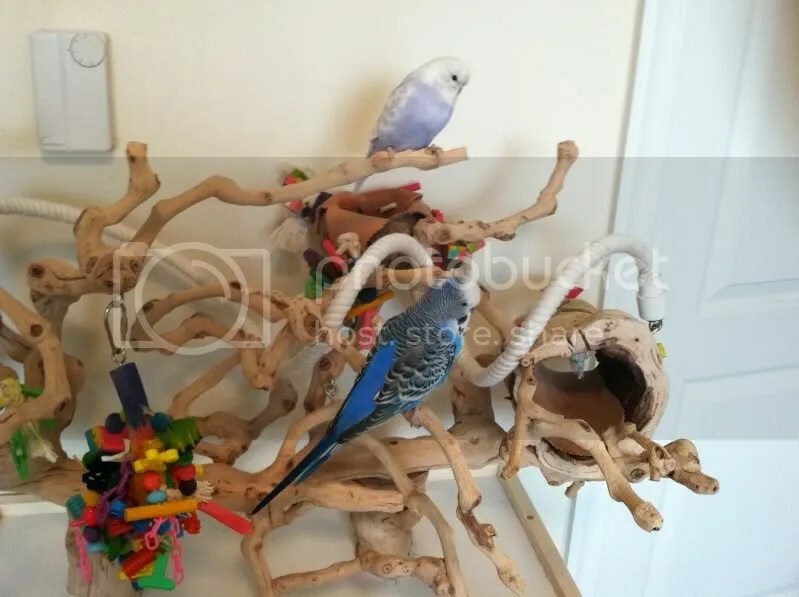 This would include many different things we probably already do: a variety of perching surfaces, different textures in toys (hardwood, softwood, natural wood with bark, types of rope/twine, cloth or cotton, plastic for those who use it, metal parts, etc.). But so many other things can also fall under this category: bathing, foot toys, utilizing feathers in toys, varying the size of the food we provide our parrots (e.g. tiny pieces or big chunks or even whole fruit! ), and even giving ice cubes to our parrots. Bottom line ideas for sensory enrichment: (auditory) noisy toys, sounds of wild birds, youtube videos, music for parrots; (visual) videos or photos of other birds, shifting perch levels, changing toys; (olfactory) bird-safe essential oils, fragrant plants and herbs; (tactile) varying perching surfaces, varying toy textures and parts, bathing, providing foot toys, utilizing feathers, varying the size of food, providing whole fruits, creating foraging trays, giving ice cubes to our parrots. Last one: phew! Nutritional enrichment. Like sensory enrichment, a lot can fall under here! Of course, I think there is a lot of overlap with this one and occupational enrichment, at least as far as foraging goes. I think that encouraging our parrots to forage for their food is such an important part of keeping them happy, “busy,” and enriched. Although I still haven’t figured out a really good way to get Lola to forage for her fresh food, aside from covering her food bowls, she does have to work for her dry food and her treats. I skewer a lot of foods, put them in foraging toys or boxes, wrap them in dixie cups or cupcake liners, etcetera. She’s not a brain surgeon, and hasn’t figured out those really complicated foraging toys. But that’s okay with me. In the wild, parrots might just be flying to another branch on a tree and picking a fruit off of it– that’s still foraging. 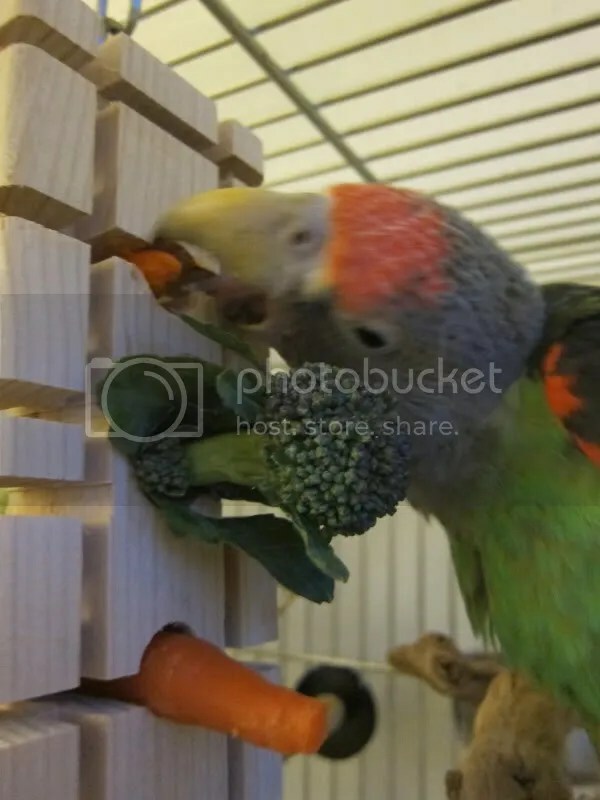 Something as simple as sticking fresh veggies in the hole of a foraging toy, but with the veggie still easily accessible (see above), counts as foraging– the toy will swing as the parrot tries to pick at the vegetable, requiring a bit more maneuvering than simply picking food out of a bowl or being spoon fed. Foraging can be simple! But there’s a second aspect of nutritional enrichment, which is the source of the nutrition, or the food itself. Robin talks about how important it is to keep diet choices novel and exciting: if you read my previous post containing my ponderings about variety, you’ll know this is something I’m thinking a lot about lately, and I still haven’t come to a conclusion. But Robin believes that we can prevent food boredom by offering variety and saving favorites to encourage foraging or reinforce training. (The logic is, ice cream sundaes might be your favorite food. But you’d probably get tired of them too if you were fed one every single day.) Another idea is to make sure we are utilizing seasonal produce, which will naturally force us to keep the diet more novel and exciting as the months change. Finally, we should also be thinking about food presentation or size. In the wild, our parrots aren’t getting all their fruits and veggies pre-chopped. Lola loves diving into and destroying a whole fruit, or most recently, a whole mini pumpkin. Obviously, there is more waste involved with this, so I don’t do it all the time, but she really loves it when I do. I think Sabrina might have a heart attack if suddenly an entire apple showed up in her cage, but she does love it when I stick an entire huge leaf of chard or kale in there. Bottom line ideas for nutritional enrichment: foraging, foraging, foraging!, keeping dietary choices novel and exciting, offering a variety of foods, keeping food seasonal, offering food in different sizes, offering whole fruits or veggies. As you can see, I really learned a lot. (As a side note, there is even more in the DVD!!) 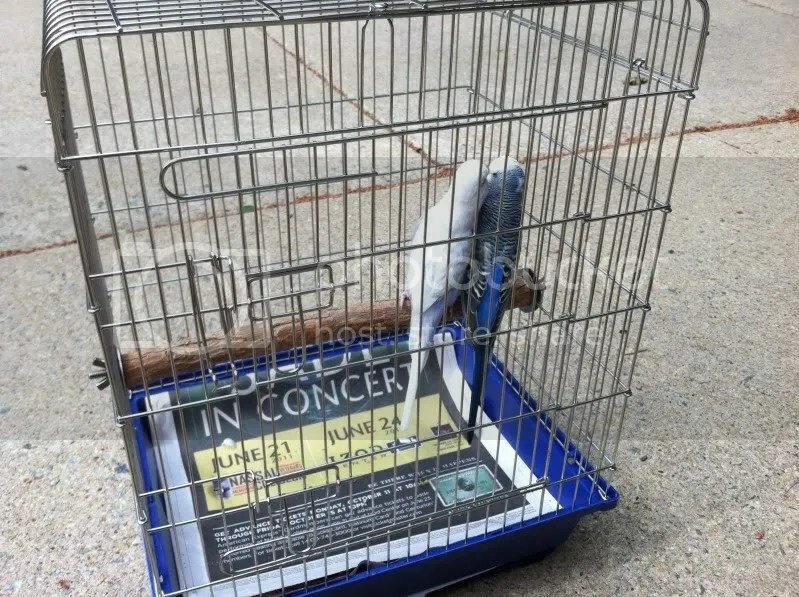 And I feel like this research really invigorated my desire to “do right” by my parrots, and make sure that they are being enriched everyday– maybe not in every single possible way, but making sure to keep things fresh and interesting for them. 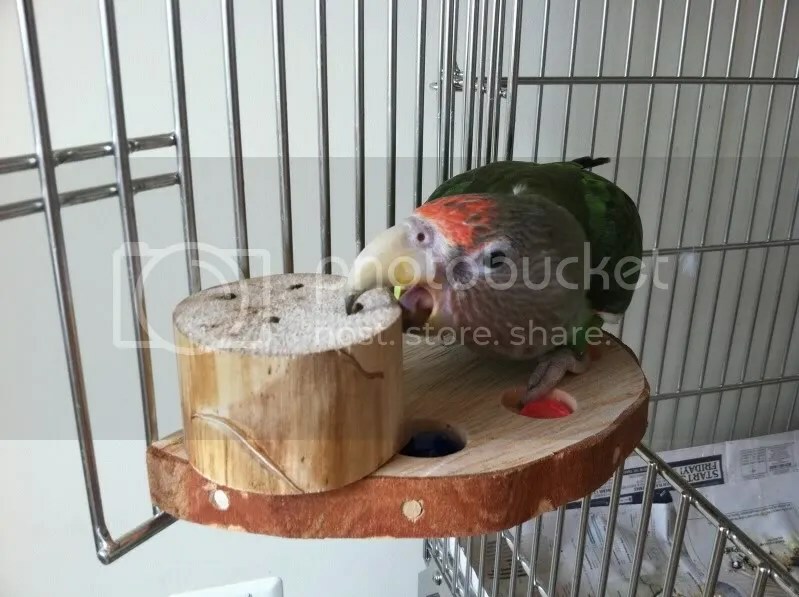 Like I said above, as I begin to implement all of these types of enrichment, I hope to write a second entry that discusses practical and easy tips to help you enrich your parrots too. There are tons of fabulous resources out there already (Kris Porter’s enrichment books come to mind) to get you started, and I’ll throw in a few of my own tips. Until then, enjoy the excellent resources below! Hi I am working on a parrot enrichment guide. I would like to use some of your photos and ideas. Would that be OK? Hi Rachel, thanks for your message! Could you give me your email address to discuss this? I’d like to know a little bit more about your project. Thank you! « Lola’s Latest Cage Setup! 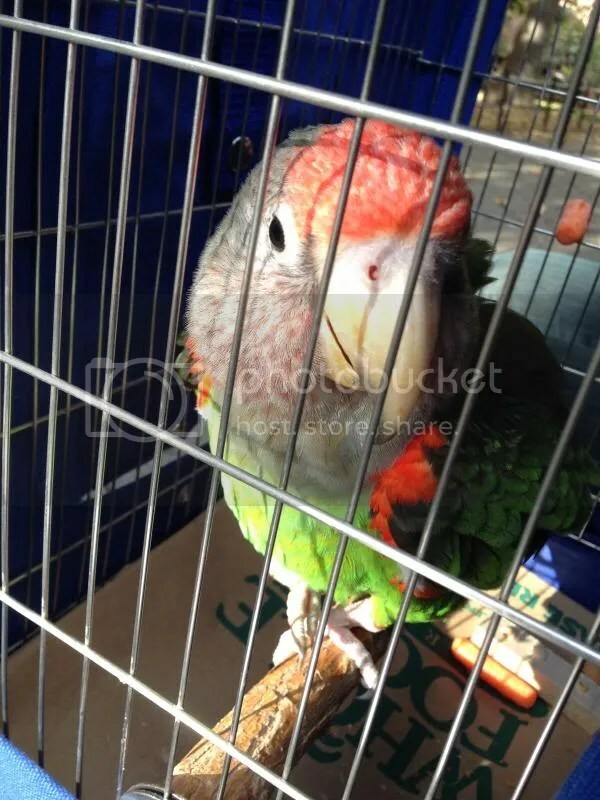 You are currently reading Learning about Parrot Enrichment at Coco's Flock.